However, there's no nationwide ruling yet on whether the federal government can block states, cities and counties from receiving a longtime public safety grant if they limit their cooperation with immigration officials. 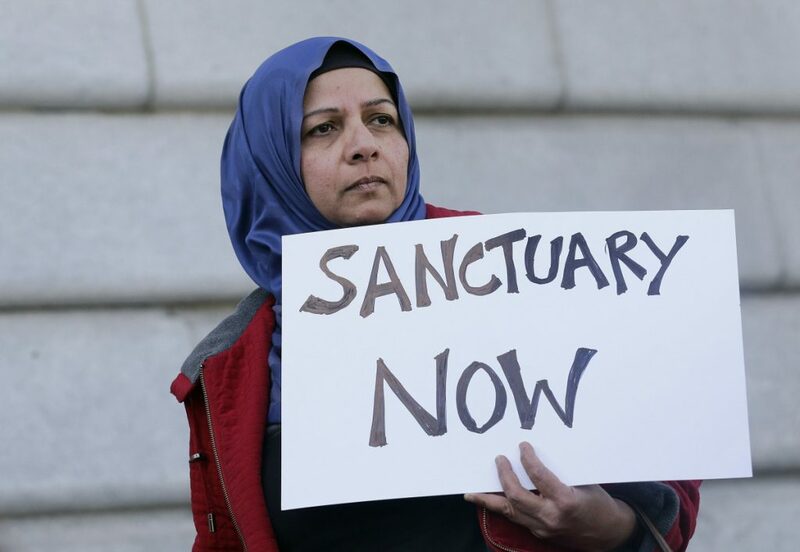 NEW YORK – The Trump administration can’t withhold over $29 million from six states and New York City in a clash over their immigration policies as “sanctuary” jurisdictions, a federal judge said Friday in the latest of several similar rulings around the country. Friday’s decision involves Connecticut, Massachusetts, New Jersey, Rhode Island, Virginia and Washington state, and the state and city of New York. It follows similar opinions by federal courts in California, Illinois and Pennsylvania. However, there’s no nationwide ruling – at least for now – on whether the federal government can block states, cities and counties from receiving a longtime public safety grant if they limit their cooperation with immigration officials. “The Trump administration’s attempt to withhold these vital funds was nothing more than a political attack at the expense of our public safety,” Underwood, a Democrat, said in a statement. Trump, a Republican, has emphasized cracking down on illegal immigration and often casts it as a public safety threat. Shortly after taking office last year, he issued an order barring federal grants to “sanctuary” cities in many circumstances. The Justice Department followed up with new conditions on a grant program that dates back years. Named for a New York City police officer killed in the line of duty in 1988, it benefits state and local governments. The new requirements included telling federal agents when immigrants in the country illegally are getting out of custody and letting agents question inmates about their immigration status. The local governments also had to agree not to set limitations on giving immigration officials citizenship information about anyone. “We must encourage these ‘sanctuary’ jurisdictions to change their policies and partner with federal law enforcement to remove criminals,” then-U.S. Attorney Jeff Sessions said in announcing the conditions. But targeted states and cities said that turning police into de facto immigration agents discourages immigrants from reporting crimes or aiding investigations. New York and the others involved in Friday’s decision argued the cooperation conditions violated constitutional limits on the administration’s authority over spending decisions and on federal power over states. U.S. District Judge Edgardo Ramos agreed. The information-sharing requirement “impinges on (the states’ and city’s) sovereign authority and their citizens’ liberty to be regulated under their preferred state and local policies,” he wrote. However, Ramos turned down their request to strike down the conditions nationwide. A federal judge and a three-judge appeals panel in Chicago did so earlier this year, but those rulings were later limited to apply just to the city.